Recent reports indicate that in the New Year there is a greater desire to connect with nature. The future of gardening and landscaping is promising, more so now than ever before. The Garden Media Group’s 2019 forecast states there is a major upswing for those to “reconnect to the natural world”. Also noteworthy, is the trend for millennials and their current love of houseplants. 90% of the population spends 22 hours per day indoors away from natural light and or fresh air. Even children today spend less than an hour outside. Bringing the outdoors in with tropical potted plants has become trendy again. Some individuals even share pictures of their beloved plants on social media. What is the world coming to? Along with this desire to connect to the natural world are those who are more seriously engaged in their single handed attempts to save the planet. Our 24/7 society requires any break to appreciate the benefits of being in nature. Both our mental and physical health shows improvement in natural settings. Our backyard landscapes provide an oasis to detox from our busy and overly demanding lives. 2019 Landscape trends for San Diego and elsewhere indicates the design, color and technology that will increase our bonds with Mother Nature. One indicator of this relationship with technology is a $1.9 million partnership with Microsoft and the Future Farmers of America that will reach over 650,000 “new environmentalists” ages 12-21. This certainly is indicative of the trend toward a greater regard for our landscapes, both natural and man-made. Another growing trend is our desire to connect with the moon. Old traditions imply the phases of the moon and time for planting and the moon’s ability to affect plant growth. So with this understanding, there is the growing awareness of “moon gardens”. 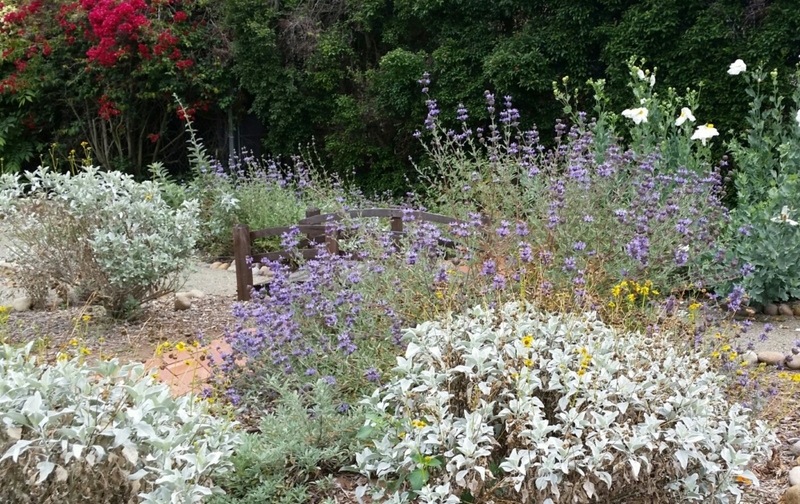 The moon garden typically showcase plants with more silver, silver-blue and white blooming flowers. In addition, those plant nocturnal blooming plants also will play a part in this lunar landscape. This will allow those moon worshipers the chance to enjoy their gardens at all hours of the day and night. 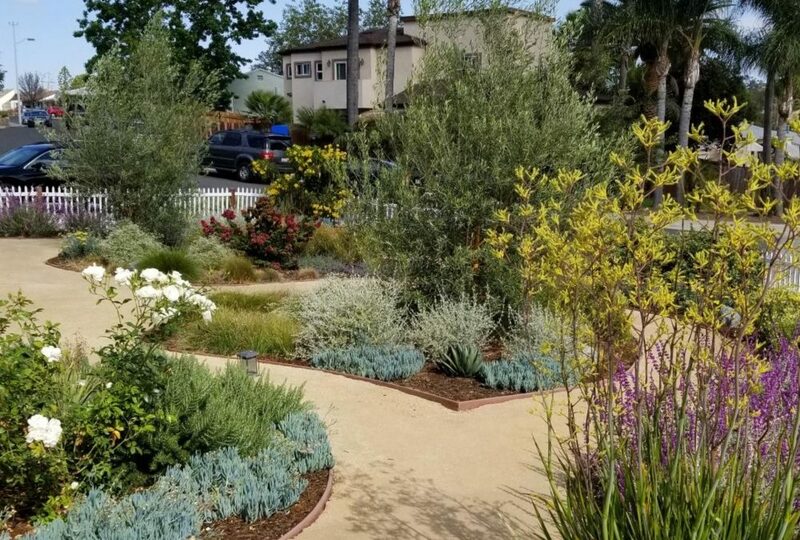 Other important 2019 Landscaping trends for San Diego are the growing impact of gardeners intervening less to allow nature to take its course. Letting one relax more and gain more enjoyment of attracting more than birds or butterflies… insects are become more of a “buzz” word in landscaping. Who doesn’t want to support the bees that have been so mistreated? This “going wild” in nature has been gaining more and more respect as we ditch more and more turf areas for more garden-like places that even include mini meadows combined with California native plants which support more pollinators in nature. The 2019 trend reports indicates the color of the New Year is Mint. Mint green is a soft, neutral color. This color is more gender neutral than the previous year’s Millennial Pink a strong feminine color. Mint translates to food and ancient healing benefits such as digestion and improved gut health. And it is also a strong element for the pollinators mentioned above. • More permeable pavement will be used and appreciated via homeowners who want to do their part for ground water levels in the state. This is clearly outlined in the current Metropolitan Water District’s current water rebate program. Many manufacturers are tuned into this as well. The recent rise in more choices of permeable pavers shows this desire. One such example is Belgard Pavers – Aqua Rok. Decomposed granite and gravel/cobblestones are at an all-time popularity. 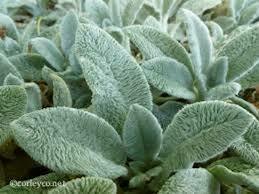 • As mentioned above the greater desire to save water and use more water saving California Native Plants. This goes hand in hand with the “wild look” and habitats for more pollinators, etc. One of the best resources for these plants is Las Pilitas Nursery which features only native plants. • Despite the growing trend for more wildlife habitats, it seems urban dwellers would rather have more hardscape (let’s hope it is the permeable type) and have less plants to tend to. 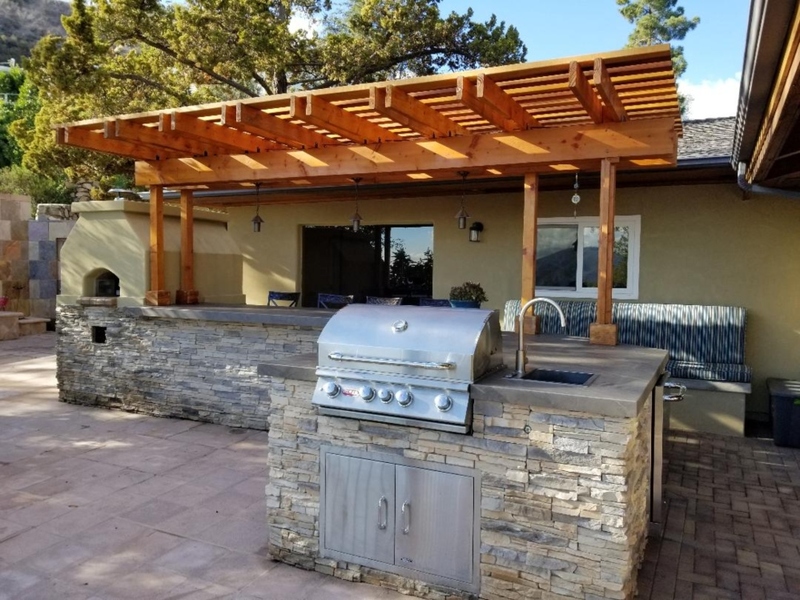 The ongoing rise of outdoor living areas such as outdoor kitchens with greater amenities along with pizza ovens is surely on the rise. • Finally, as mentioned in the beginning of this blog, the elements of technology will forever continue to shape our awareness to the growing number of “smart” gadgets be It apps to control landscape lighting, irrigation with smart controllers and who knows what in the near future. In conclusion, the 2019 landscape trends for San Diego and all of the country in the New Year will offer those who seek it the opportunity to get closer to nature. We don’t have to travel to a National Park or Balboa Park for that matter when we can embrace a new found proximity to nature in our own backyard. As the pendulum swings further towards the dependence of technology, the demands grows ever more precarious to our 24/7 demanding lifestyles. The need to offset “high tech” with the “high touch” of nature become ever so much more necessary. Contact Letz Design Landscape today to get started on your journey to get closer to nature or simply “get wild” in your own natural habitat at home.